If you've got injured in an auto accident in Naples, Florida, you are not alone. On average, every other day a person suffers personal injuries due to a car accident there. Various reasons are leading to this situation, but the most common include driving under influence, distracted driving, tailgating, drunk driving, improper lane changes, wrongful overtaking, and other reasons always related to lack of respect of the safety rules. If everyone followed the traffic safety rules, roads would be virtually free of accidents. But very few people do respect them; hence our Naples car accident lawyers stand ready to assist victims of negligence by representing all the folks who have sustained injuries. If you or a loved one is injured as well, you will likely need advice. You can get it through our free initial consultations at (239) 777-9954. 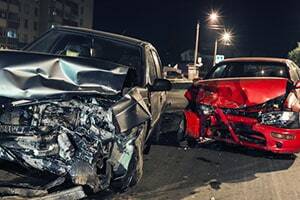 The Naples auto accident attorneys at the Wolfson Law Firm offer these consultations to help people determine whether it is worth pursuing damages recovery before incurring any costs. We will present you with your options for free of charge, and you'll be able to make an informed decision on what to do next. If you choose to proceed with us, you won't pay fees unless we recover compensation for you. The total number of car accidents in Naples, Florida, varies greatly throughout the last few years. In 2014, there have been 517 crashes, in 2015, the number went down to 329, it went up again in 2016 with 525 accident, and down again to 292 in 2017. Up to half of them result in personal injuries. The most common ones include broken bones, head injuries, back injuries, and less serious ones such as bruises and scars. If you were injured in another type of car accident, you should know that it doesn't necessarily deprive you of financial recovery. Just contact us, and we will clarify that for you. We start with free consultations. You explain to us your case, and we present you with your options. With our help, you decide whether you’ll pursue compensation. If you decide to proceed on the road to financial recovery with us, we start building your case. We work with witnesses, expert witnesses, doctors, and anyone else who could help us prove our claims in a convincing manner. Once we build the case, we propose a settlement to the insurance company. If they accept, that would be the fastest way to recovery. If they don't accept, we file a lawsuit and go to trial if required. If needed, we appeal the judge or the verdict. Only if we recover compensation for you, then we charge fees. Reach us at (239) 777-9954. We serve Naples and the surrounding communities such as Estero, Marco Island, Captiva, East Naples, Lehigh Acres, Golden Gate Bonita Springs, Fort Myers, Cape Coral, Immokalee, Goodland, Cape Coral, Lehigh Acres, North Fort Myers and Sanibel.